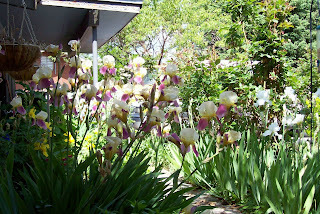 Walking out our front door these days is to walk into a cloud of Iris perfume! I wish computers had smell-a-vision: then I could re-visit this page anytime during the year and recapture the fragrance. 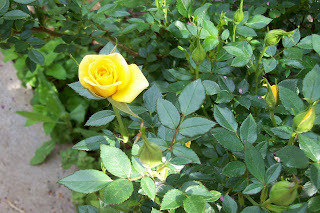 Just across the sidewalk, to the right of the big clump of bi-colored iris, is our miniature yellow rosebush. It is covered with buds. This one is the first to open. This little bush started out as one of those super market specials years ago. It has thrived and now stands about four feet tall (miniature?) - but all the flowers and leaves are small. And this is my lace weight Alpaca yarn from Knit Picks in the colorway called "Iris". 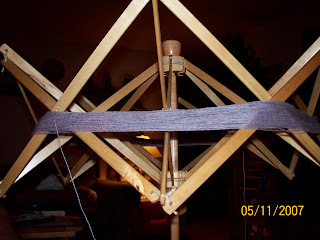 I bought two skeins to make the Print 'O The Wave Stole and used my yarn swift for the first time last night to wind one of the skeins. I'll be purchasing a ball-winder before I wind the second skein! 440 yards is a LOT of yarn to wind by hand, especially with the yarn being lace weight. My Everyday Shawl and Rainy Day socks are still in progress... They'll get knitting time after dark (and/or before dawn). Last night I cast on for the new stole and knit a few rows and found that it was difficult to see the stitches in this colorway without good natural light. So it will be a day-time knitting project. I can't wait for the sun to come up! Tomorrow is Mother's Day. 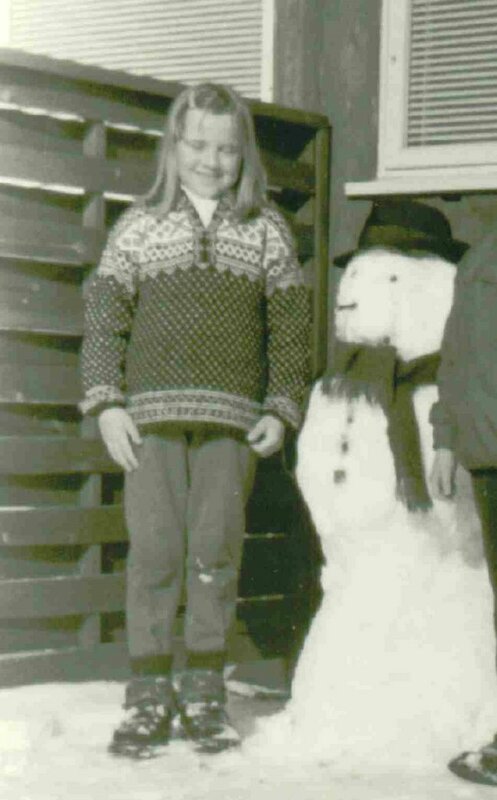 A bittersweet time for those of us whose mothers have died...My Mom died in 1985 and I still miss her. But...I do have many wonderful memories that I treasure. P. S. I've whined about not knowing how to accomplish some pretty basic skills in blogging, like how to upload images into the text, etc. (Turns out I need to upload the images first, in reverse order of how I want them to display, and add the text later.) So I bought the book Blogging for Dummies by Brad Hill. A mixed bag ... for me anyway. I learned a lot of basic stuff about blogging in general, but I still have no clue about creating a blogroll in my sidebar, for instance, or posting a button to show that I'm participating in the Coffee Swap. Rats. Beautiful irises. I didn't even know they had a fragrance. I have some at my house but they dont' seem to want to bloom. Beautiful rose, too. I should get some miniatures next to my walk. With the old blogger you have to do some hand editing of your template to put in a blog roll. But with the new blogger, if you update your blogger account, you can add things to your page more easily. It will be seamless to switch since you have not modified anything before. It will not cause any problems, don't worry.